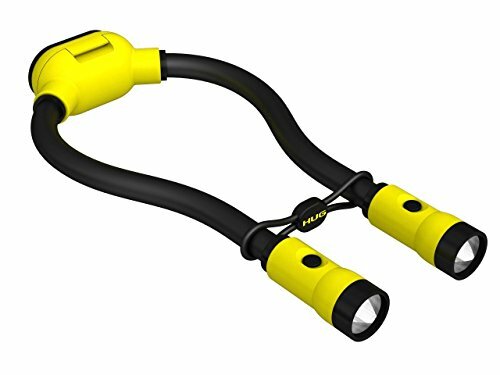 Hug Light Pro is the hands-free, super bright ultimate repair & task light. Great to have around the house, in the car, on outdoor activities, or on the job. The possibilities are endless with it's unique design and durable construction. The rubber activity band ensures a secure fit and the flexible arms enable the light to shine wherever you need it. If you have any questions about this product by Hug Light Pro, contact us by completing and submitting the form below. If you are looking for a specif part number, please include it with your message.